What a pleasure it was to be invited along to Omar Allibhoy’s new book launch “Tapas revolution”. Sampling dishes from the book itself, we were excited to meet Omar and devour his plateful treats. 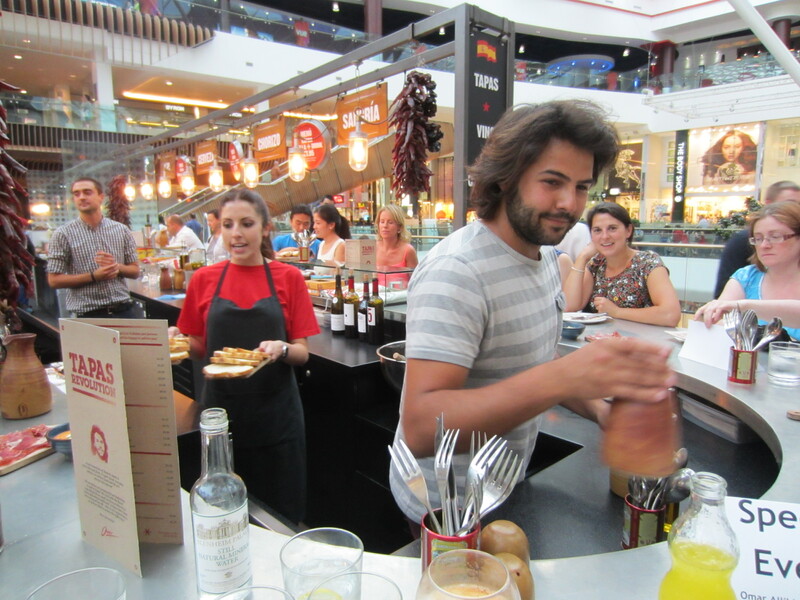 Omar, trained under Ferran Adria of El Bulli fame is the man behind “Tapas Revolution”. 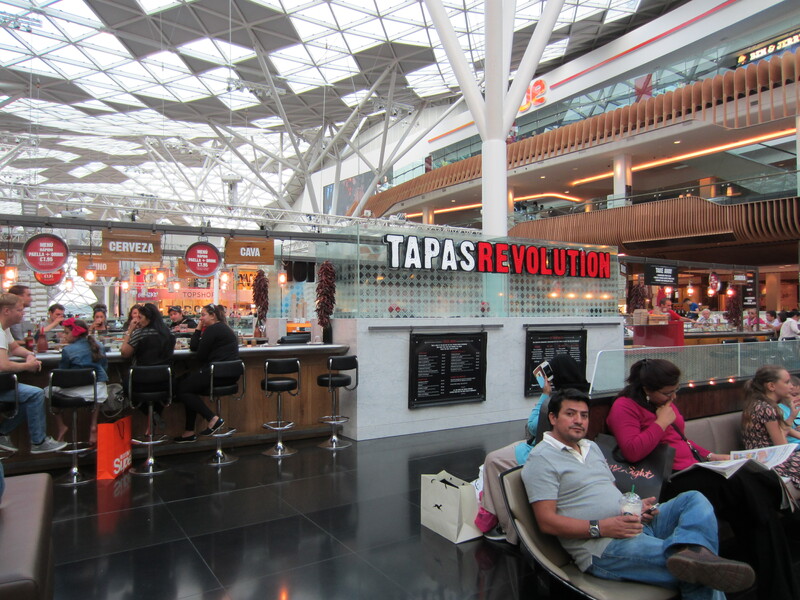 The restaurants are currently opened in two shopping centres Westfield White City and Bluewater. 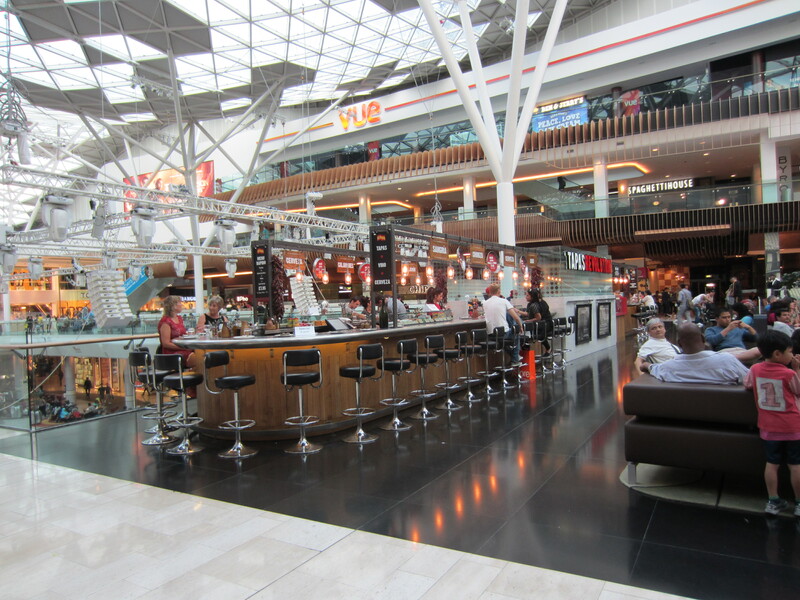 Westfield branch was the evening destination, one of the biggest shopping centres currently residing in London. The balcony oversees the atrium and food court. 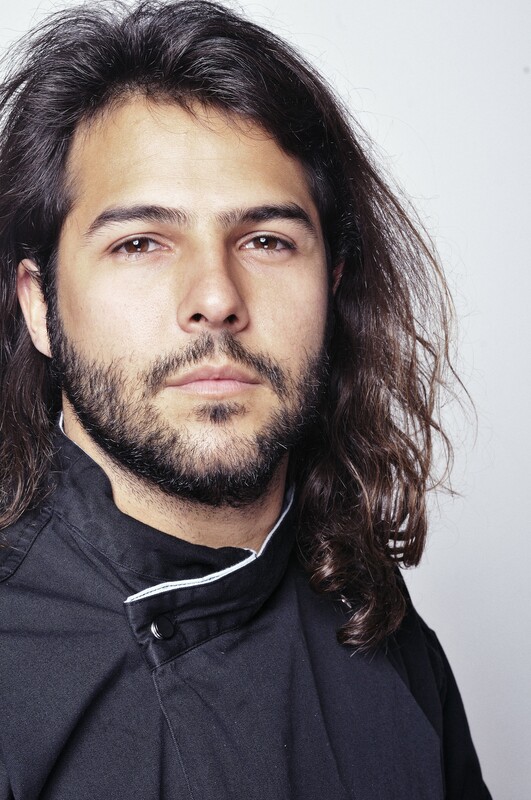 Whilst eagerly waiting for the other bloggers and foodies to arrive it was a delight to see a long hair brunette, tanned handsome Omar pop his head out to say hi to us. I seated myself between Chris and Manjiri, both struck interesting conversations throughout the night. Talking to Chris made me realise I’ve been blogging for over 10 years on different platforms. Before the food, we had a choice of drinks I somehow ended up with 4-5 glasses of Sangría’s, 1 glass of champagne, a cup of Leche Merengada, and a glass of water. I know naughty, naughty, but I was there to enjoy the food, the company and evening. 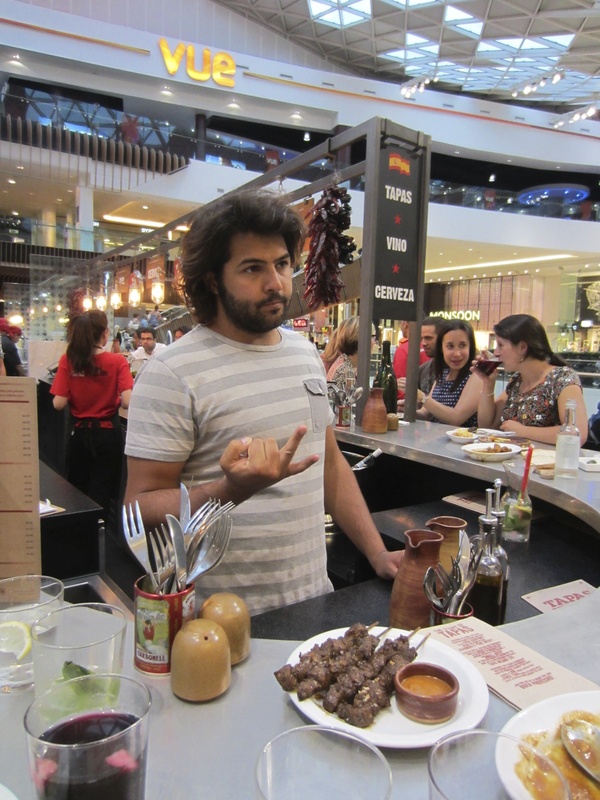 Omar talked us through his roots and his passion for cooking clearly showed, we were all drawn in by his words and gestures. 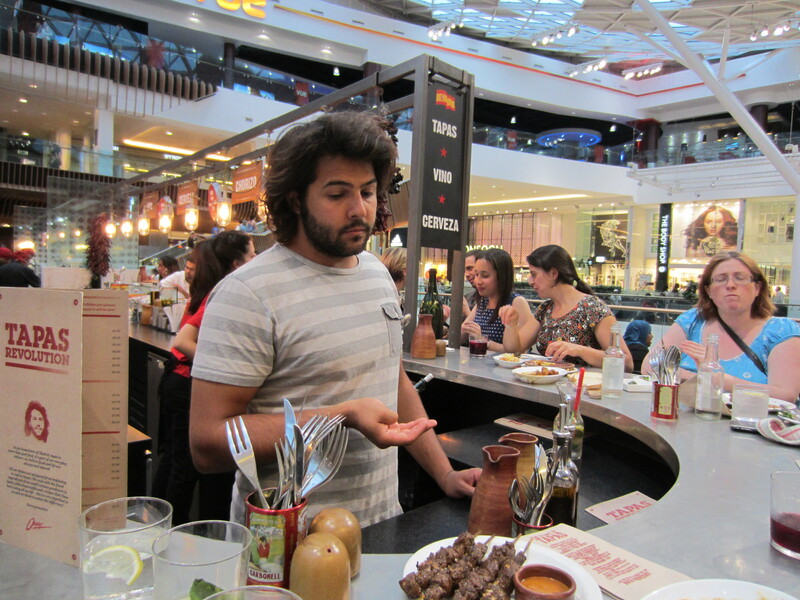 As he dished out the plateful of delights he explained where he sourced his ingredients and how each dish was made. 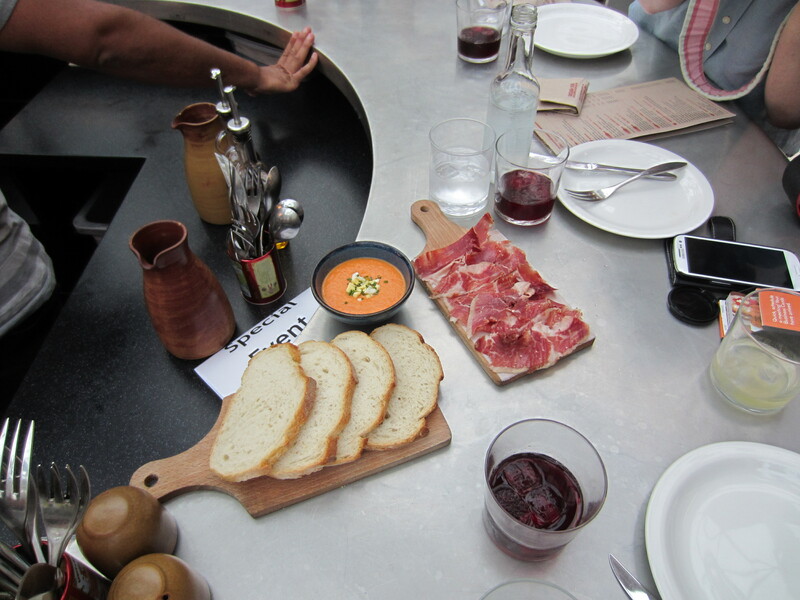 First up was the Jamon Iberico and bread served with the Salmorejo. 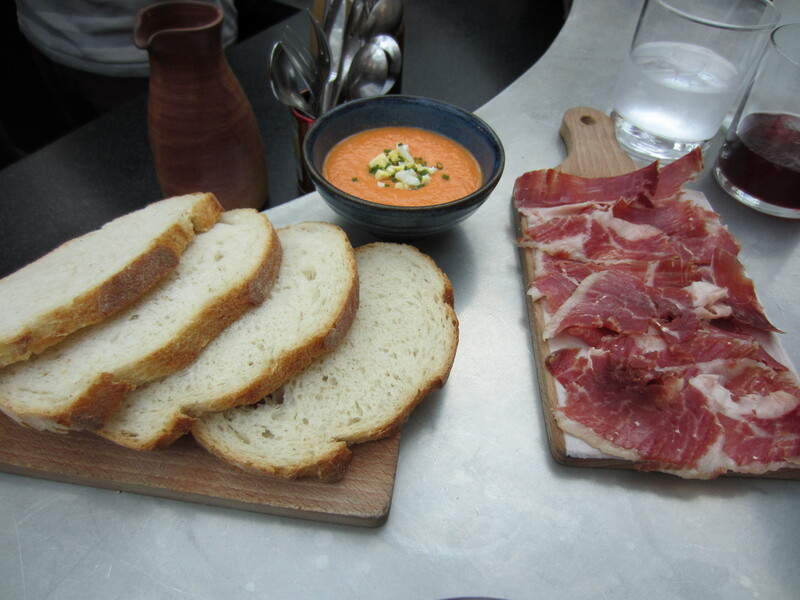 The chilled tomato dip, had a similar soup like texture, Salmorejo is traditionally from Seville. I had to savage; as much as I can for my bread it was simply splendid. I remembered this had subtle pickled flavours, another dish served chilled. 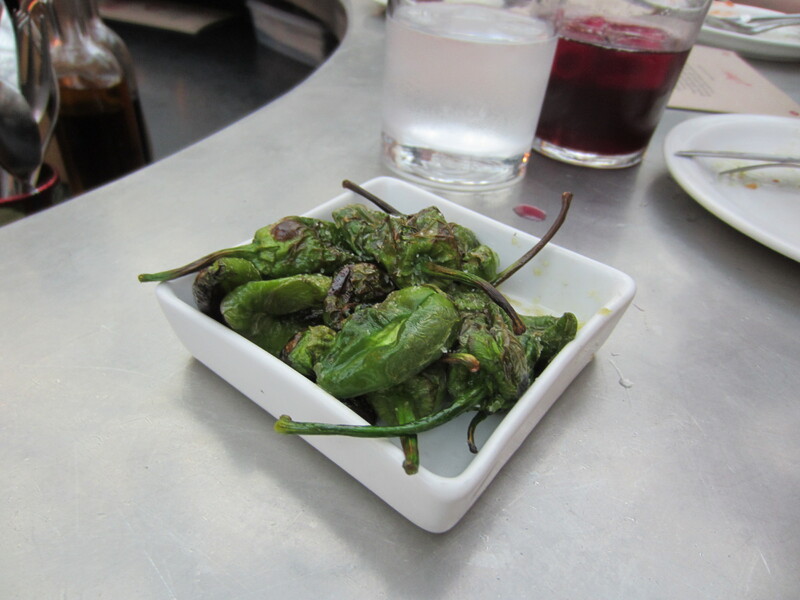 Pimientos de Padron – Fried Padron Peppers, a very simple lovely dish, no heat or wagging tongues involved after eating these. 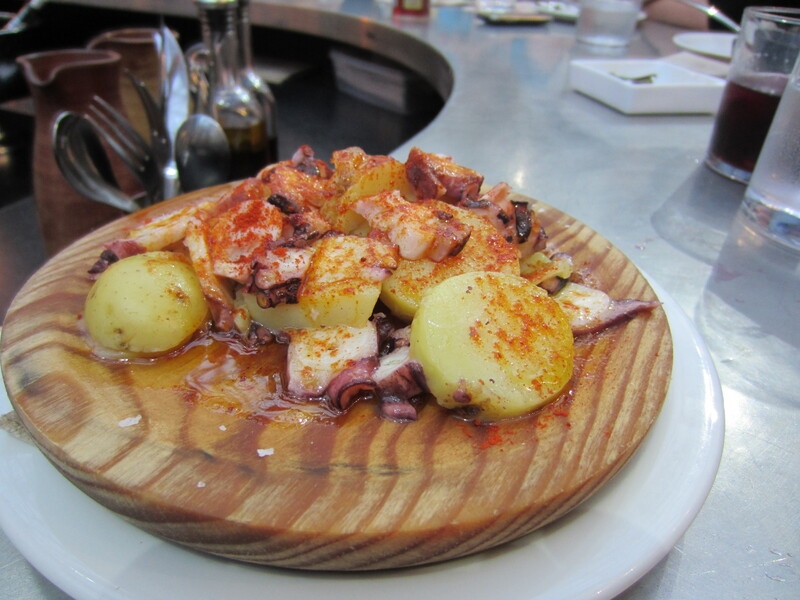 Pulpo a la Gallega – Octopus with Potatoes and Pimenton, a popular Spanish dish. 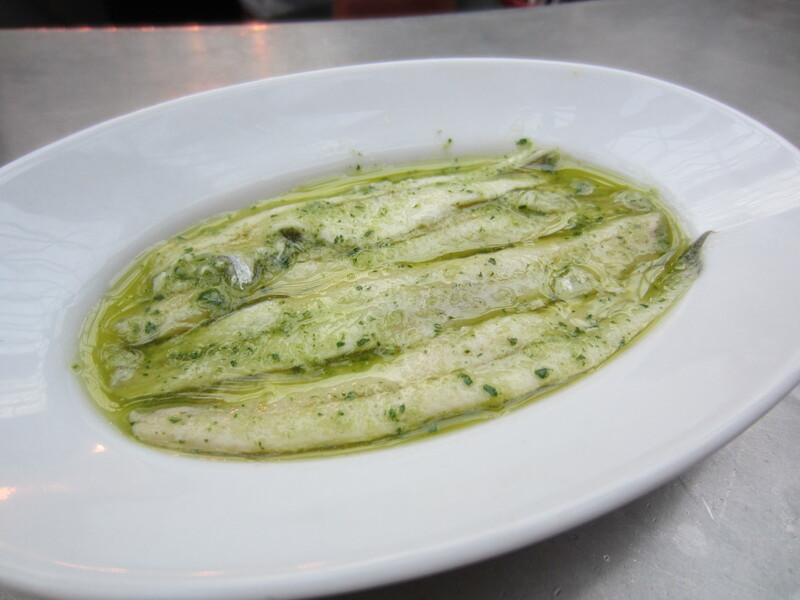 This dish is traditionally served on wooden plates, alongside with boiled potatoes. Another favourite dish amongst us, I just kept going for those potatoes. 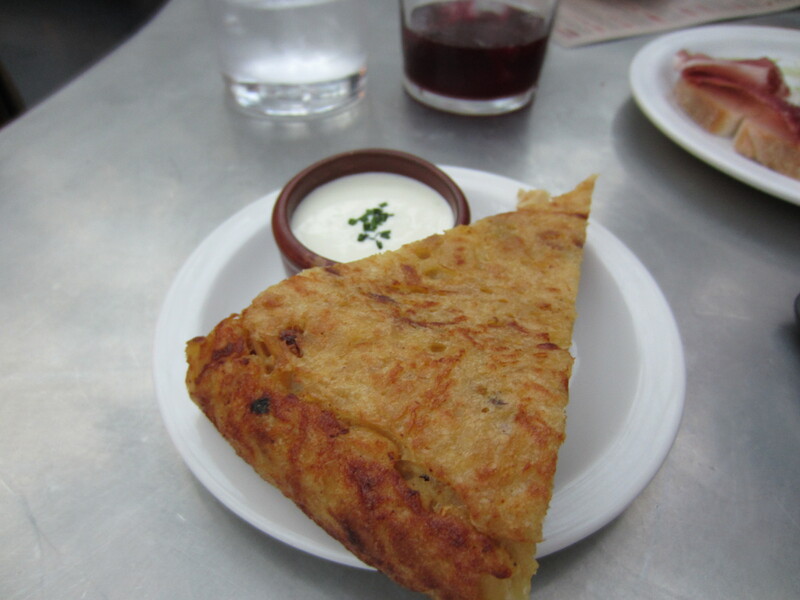 Tortilla de Patatas – Spanish Omelettes, when this arrived and “D” and I took a few bites, it was love. Served with a dip made of milk and mustard, we wanted to eat more. This one was the least favourite of the night; Similar to curries, it had hints of cumin and saffron. 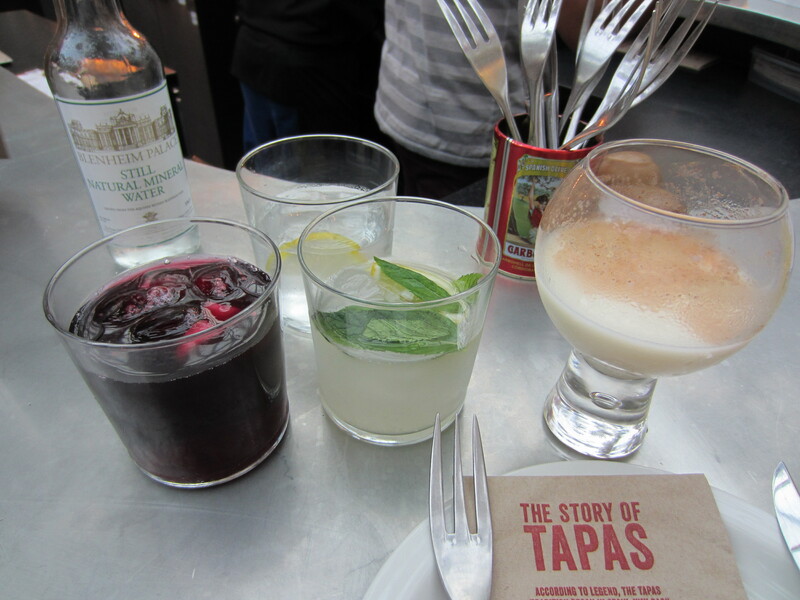 By now I was quite desperate for the toilet the waitress kept pouring me bottomless Sangría’s. Oh MEEE GEE, did I mention how good were these drinks? I couldn’t even taste any traces of alcohol in them. Rebujito, was my favourite out of the two. 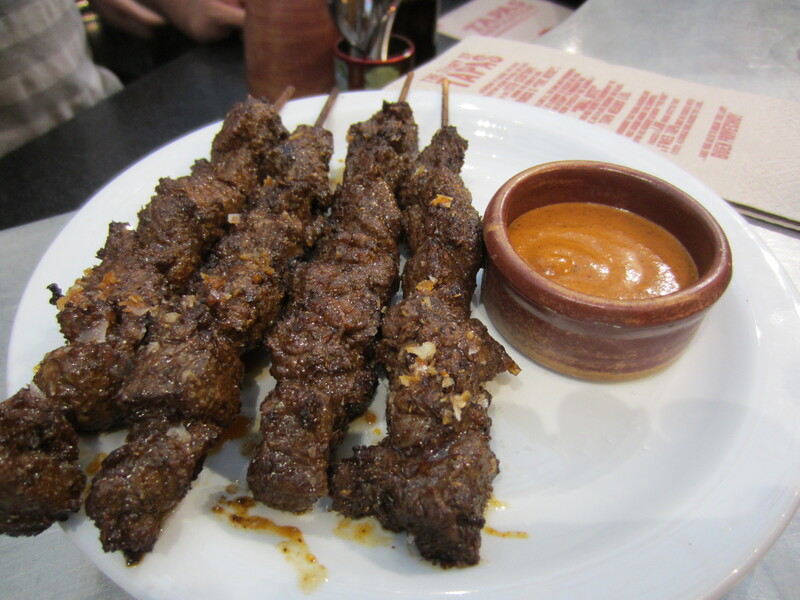 You can see all the spices, still flaking off from the meat; the meat was very chewy and tough. Served with a chilly dip. 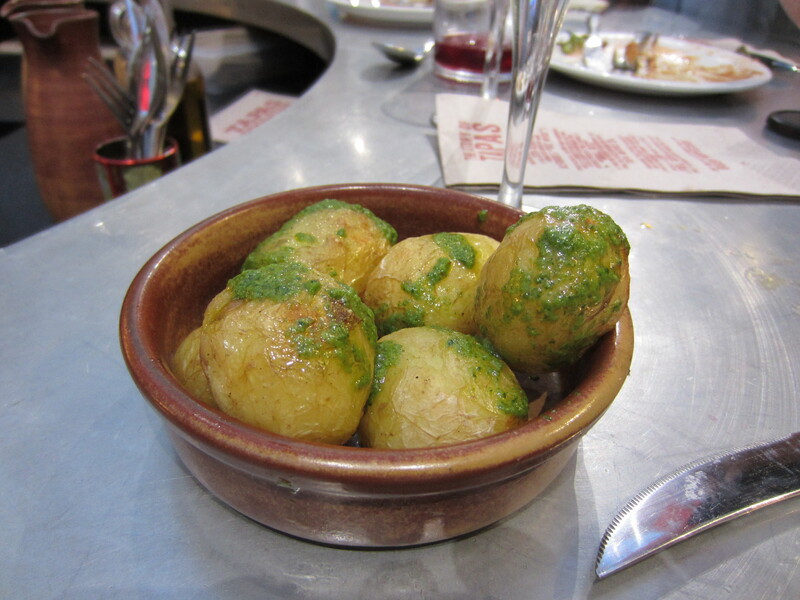 Omar said that the dish wasn’t quite right, as the potato was too fresh, I still loved them in it’s slight wrinkly jacket. I quote from Omar’s book “these deep fried béchamel balls were sent from heaven to make us mortals a bit happier” I couldn’t agree more, stuffed inside that deep fried golden balls were a soft creamy gooey full bodied flavour surprise. I gobbled it down in two bites, and the remaining traces oozed all over my plate. There were only 4 on a plate, one for each person L I wanted more. 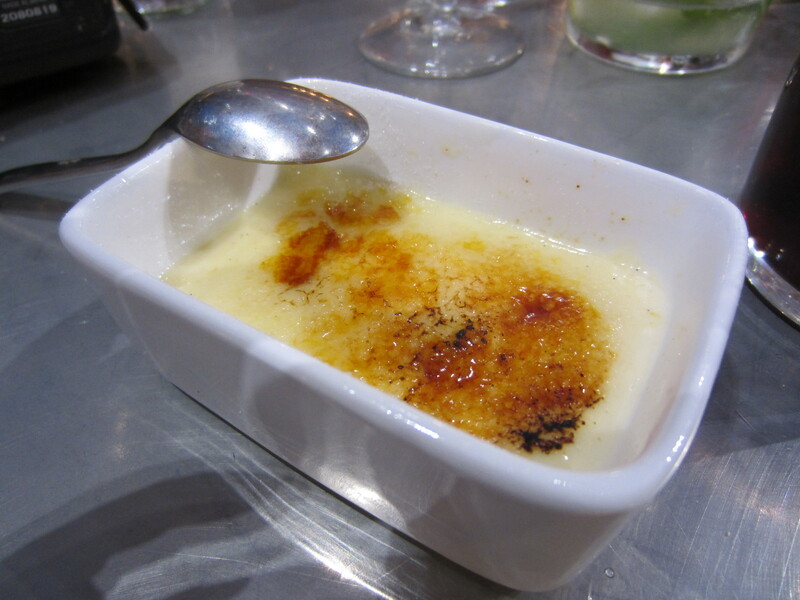 When they cleared the plates I thought it was the end of it and then came the Crema Catalana – Catalonian Custard Pots. It was only then we came to realise we had 16 courses and my poor friend “d” pleaded to be fed no more. She had to undo a trouser button to let her belly hang loose. You know there’s always a magic second stomach when it comes to desserts and crema cataland was similar to crème burle. 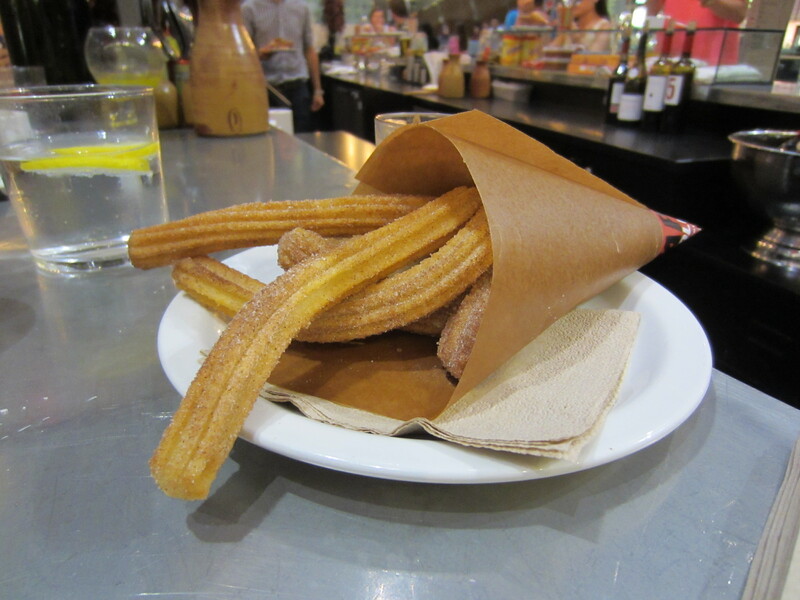 Then the Churros con Chocolate was dished out, this was the very first thing that almost lured me to Tapas Revolution one day. Why is it the batter is only simply flour and water and yet it tastes so dam good? The churros were an ultimate hit with us, and again I had a few. We were fed and stuffed to the max,and the best part was when Omar took photos with us and handed out his new book. 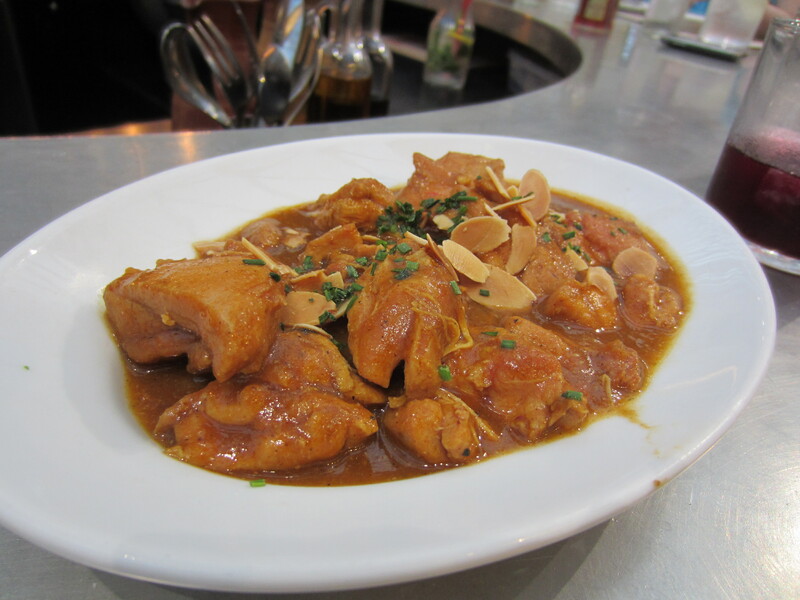 Tapas revolution serves beautiful, small plates to share, and those Sangría’s are a must it is truly addictive. 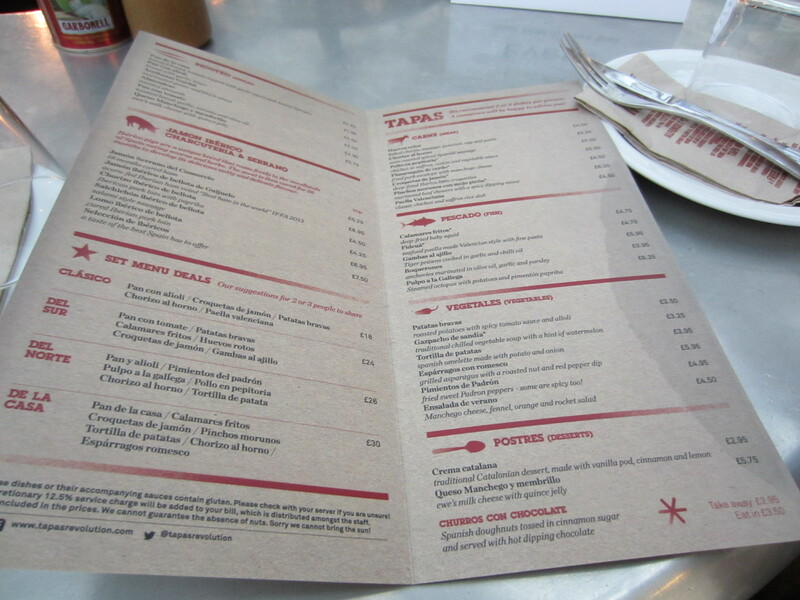 Most plates starts from £3.95 onwards and I will make sure I drag my friends for some tapas treats. 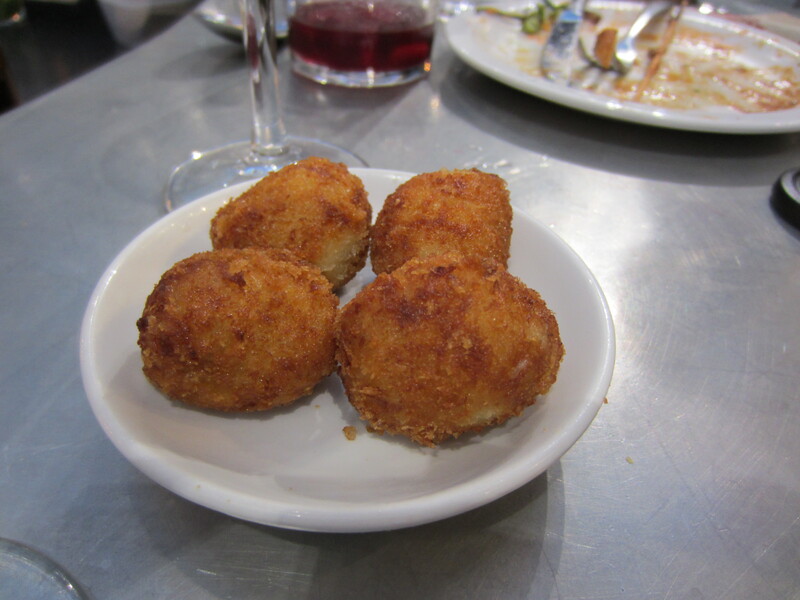 I am looking forward to mastering the Croquetas de Jamon – Ham Croquettes, and Tortilla de Patatas – Spanish Omelettes. The book “Tapas Revolution” is filled with over 100 recipes, dazzling photos and easy to follow recipes. Go and pre-order the book on amazon below for a discount price. These tapas look sooo delicious. 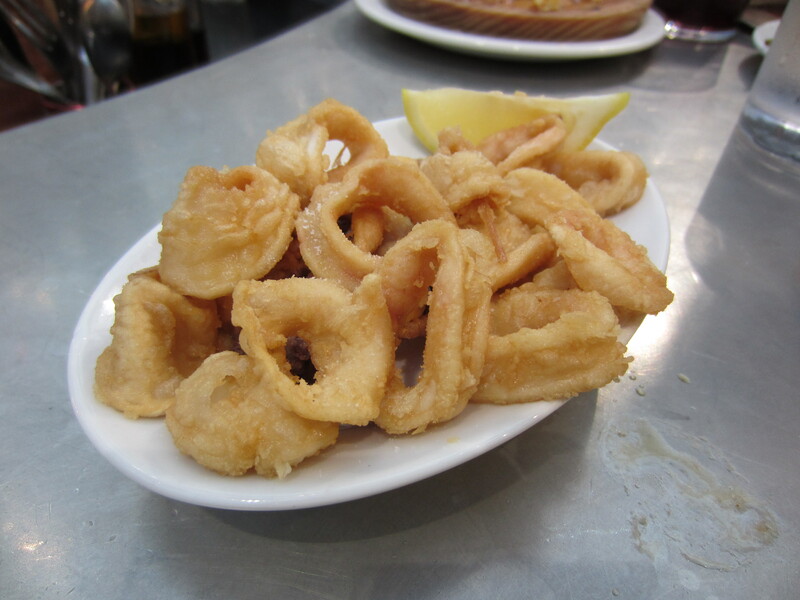 I’ve only been to a Tapas restaurant once and it was absolutely divine. 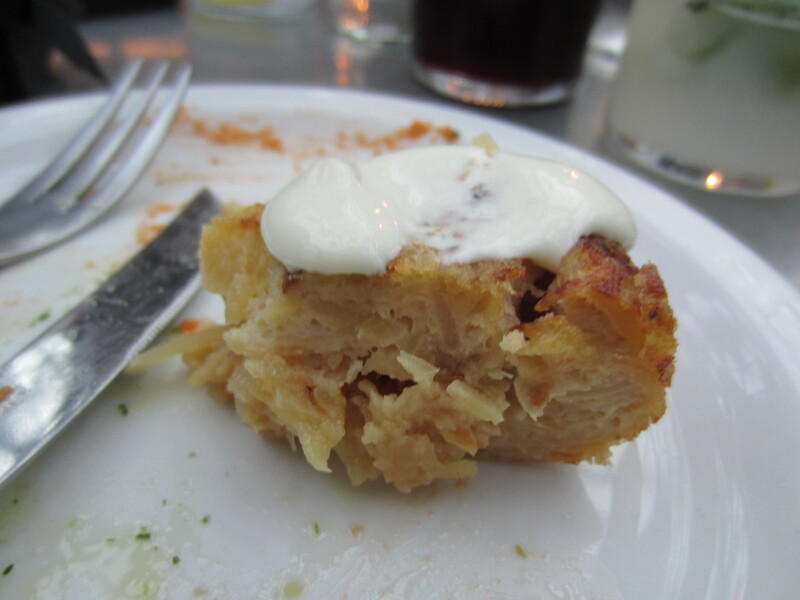 My favorite by far will always be the croquettes. Thanks for visiting, I’ve been to 3 so far. I love them all.